An attentive reader of analytical materials remembers that the previous altcoins analysis turned out to be almost prophetic. 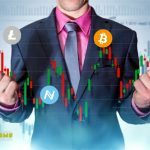 According to it the market was practically “ripe” to complete the correction and continue the development of the downtrend. The market really broke through the “defense” of the consolidation range. The impulse of decline was so strong that it could bring many market participants into some confusion. But one should not forget that the last and still actual movement was a natural stage in the development of the general trend. The bottom is not reached, decrease will continue, perhaps, will drag on in time. In the short term it is possible to expect only correction of the descending impulse. On the three-hour timeframe there is a downward trend within a stable channel. The trend has suspended its development near the target line of support for the primary projection channel. Observing the formation of convergence on the MACD and Stochastic indicators, we can allow the development of a rollback. As its first goal, the resistance line of the current short-term channel can be - the level of $ 4.10. Further, growth is possible to the resistance level of $ 4.56. Observing the stable downward movement of the MACD lines, it can be assumed that the correction will be short-lived. Then the market can form another impulse to decline. A signal for further decline will be the breakdown of the current level of support near the $ 3.46 mark. As a target of the impulse to decline, it is worth considering the level of $ 2.36. 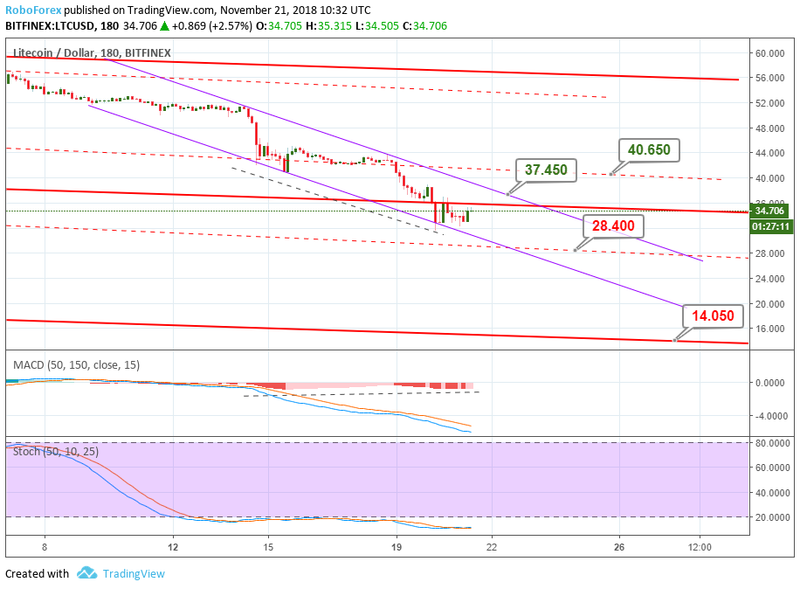 The dynamics of Ethereum on the three-hour chart shows that the last downtrend has reached the main goal - the support line for the main corridor. The downtrend is not yet complete. However, in the short term, we can expect a correction. The factors indicating the possibility of correction are convergence on the MACD and Stochastic indicators, and the “golden cross” on Stochastic. The most likely targets of correction could be levels of 23.6% ($ 150.47), 38.2% ($ 164.84) ​​and 50.0% ($ 176.45) on the Fibonacci scale. Local resistance line can also serve as a guide for buyers. If we assess the prospects for further decline, then the psychological support zone in the $ 100 mark should be considered as a goal. 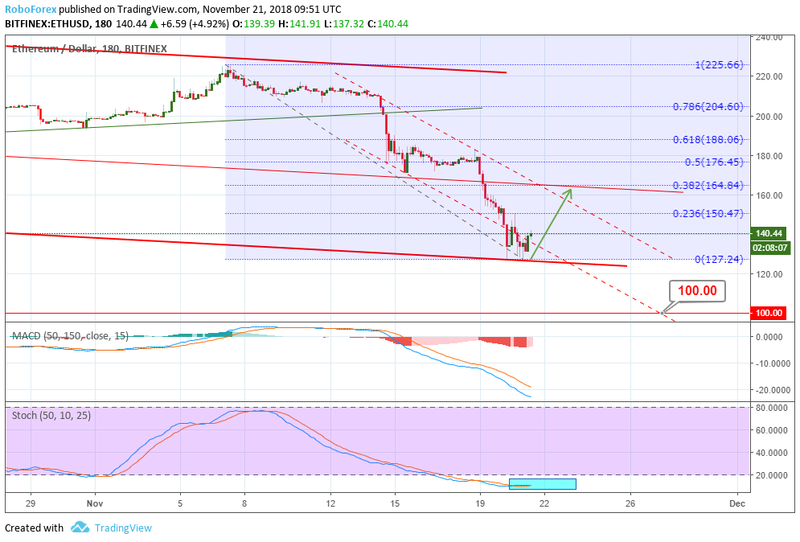 On the three-hour Litecoin chart, we can observe the development of a stable downtrend. At the moment, the market is trying to overcome the support line of the main channel. The immediate goal of the decline is to consider the support line of the projection corridor and the mark of $ 28.40. With a developing downtrend, convergence is forming on the MACD indicator, which may indicate an upcoming pullback. The purpose of the latter may be on the line of resistance of the current channel at $ 37.45. After overcoming this mark, the correction may continue to the level of $ 40.65. After the completion of the correction, we can expect the development of another impulse to decline to a significant support level of $ 14.05. 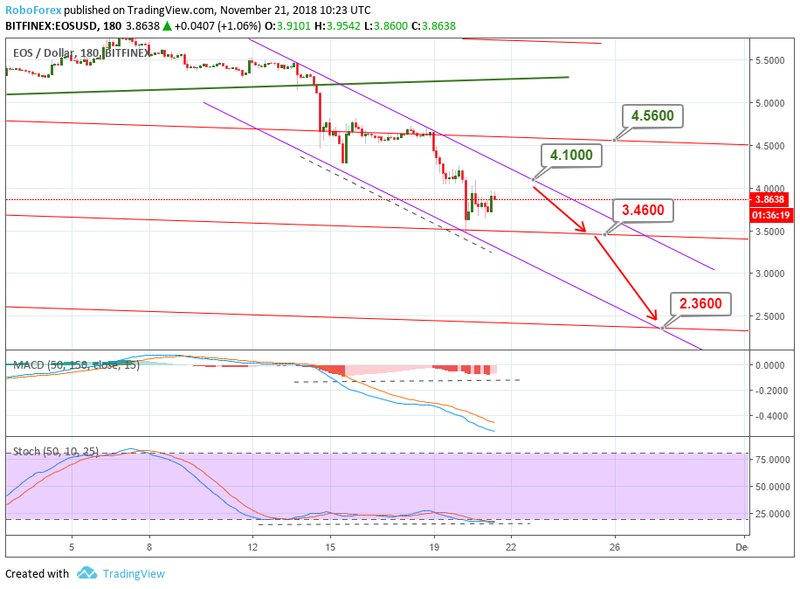 Considering the current technical picture of XRP on the two-hour chart, it is worth noting that this asset did not particularly react to the overall market dynamics. The price managed to break through the support line of the previous growth corridor. However, the current channel of reduction does not look too stable, since buyers are actively responding to every touch of the support line, throwing the price to the resistance line. In the future, much will depend on the breakdown or rebound from the local resistance line. A breakout will allow quotes to rise to the main resistance level of $ 0.5110. 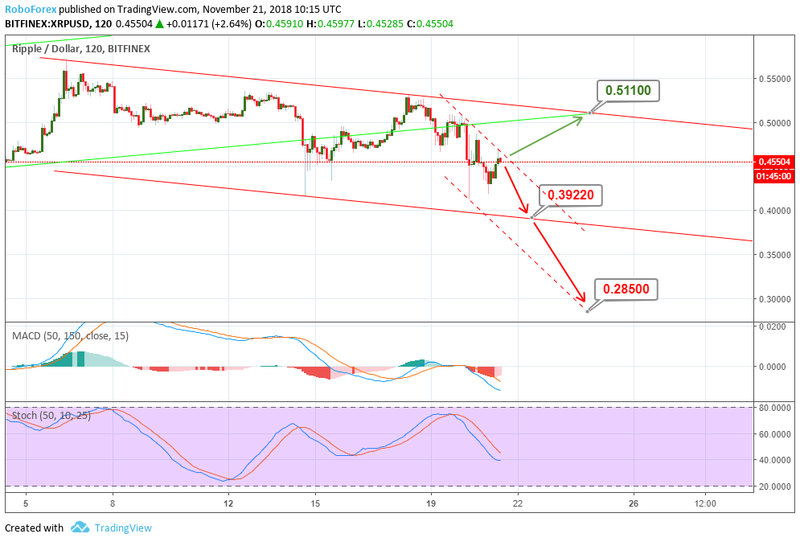 A rebound in turn will be a signal of a further decline to the support level of $ 0.3922, and its overcoming may open the way for a decline to the level of $ 0.2850. 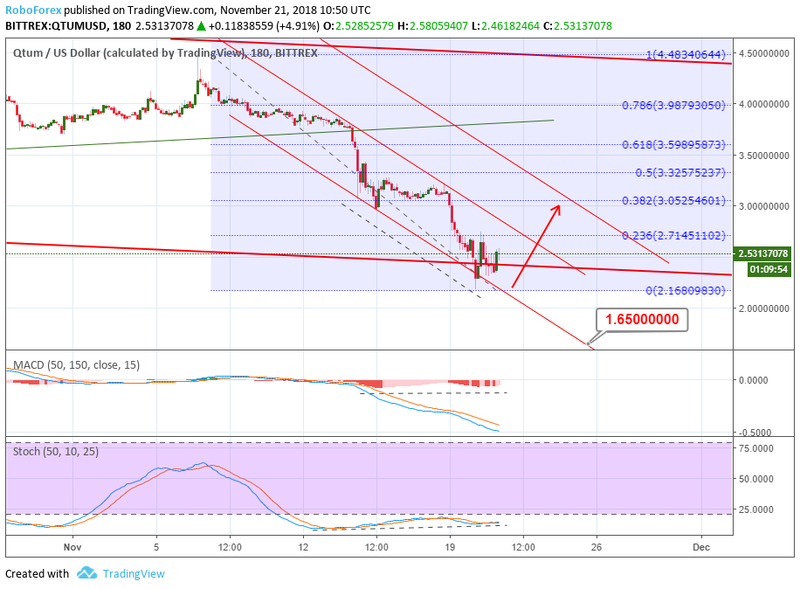 The three-hour Qtum chart demonstrates a stop in the development of a downward impulse at the main corridor support line. On the indicators MACD and Stochastic, one can observe the formation of convergence. The latter may indicate the beginning of the correction period. To date, the correction has reached the level of 23.6% on the Fibonacci scale relative to the entire downward impulse. Breaking the resistance line of the local downstream channel will allow quotes to move to the upper projection corridor, thereby expanding the correction range. The correction goals can be at the levels of 38.2% ($ 3.05) and 50.0% ($ 3.32). The next target of the downward trend will be the $ 1.65 mark, but only after the breakdown of the local minimum. © 2018 bit.news | queries 216, for 0.432 sec.